Ray Donovan will be back! Showtime just announced they’ve renewed the TV show for a seventh season. 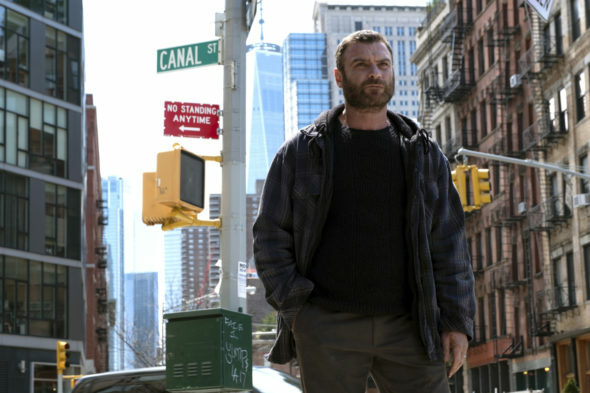 The gritty drama centers on Ray Donovan (Liev Schreiber), an LA fixer who is the go-to guy for the Hollywood elite to make problems disappear. The cast also includes Jon Voight, Paula Malcomson, Kerris Dorsey, Devon Bagby, Eddie Marsan, Dash Mihok, Pooch Hall, and Elliot Gould. Ray Donovan is currently in its sixth season, which airs on Showtime on Sundays at 9 p.m. ET/PT. The season finale is set to debut on January 13th at 9 p.m. ET/PT. LOS ANGELES, CA – December 20, 2018 – SHOWTIME has ordered a seventh season of its hit drama series RAY DONOVAN, starring multiple Emmy(R) and Golden Globe(R) nominee Liev Schreiber and Jon Voight in his Golden Globe winning role. Production will begin in Spring 2019 in New York. The current season of RAY DONOVAN airs on Sundays at 9 p.m. ET/PT, with its season finale on January 13. The announcement was made today by Gary Levine, President of Programming, Showtime Networks Inc.
What do you think? Do you watch Ray Donovan? Are you glad it’s been renewed? LOVE IT! Can’t ‘t wait for Season 7. Best tv show ever ! I am sad about Abby being gone , loved her ! And Avi ( not sure of spelling ) I loved the 3 of them being a team with Lena ! I hope Avi comes back and the 3 work together again ! Cant wsit for season 7,8 , 9,,, ! Love all the Donovan characters! The whole cast is great ! Great job !! I LOVE RAY DONOVAN. I was glad to see Bridgett buck up and get tough. Hope she stays that way. I hope Ray finds a lover as tough as he is who is a soft place for him to land. Most awesome show ever. For me this is the best show on TV. Really glad that there will be a Season 7, and hopefully beyond. I love watching Ray Donavan! I’m so glad there’s gonna be a season 7. Super happy Ray Donovan is renewed for season 7. I love this show. Live Schreiber and Jon Voight are great. Something about this dysfunctional family makes me not want to miss a single episode. Yes. BEST SHOE ON TV!!! Excellent show- from the story lines to the fantastic cast members!!! I’m totally invested in the characters and am so pleased that the series has been renewed. At last, great adult entertainment hasn’t been canned for FLUFF ! Very tired of watching junk on T.V.